Encouraging Creativity, Imagination and Confidence with lots & lots of fun !! Creative Dance & Movement Classes for Toddlers. Sunny Steps nurtures your childs creativity and Imagination.. 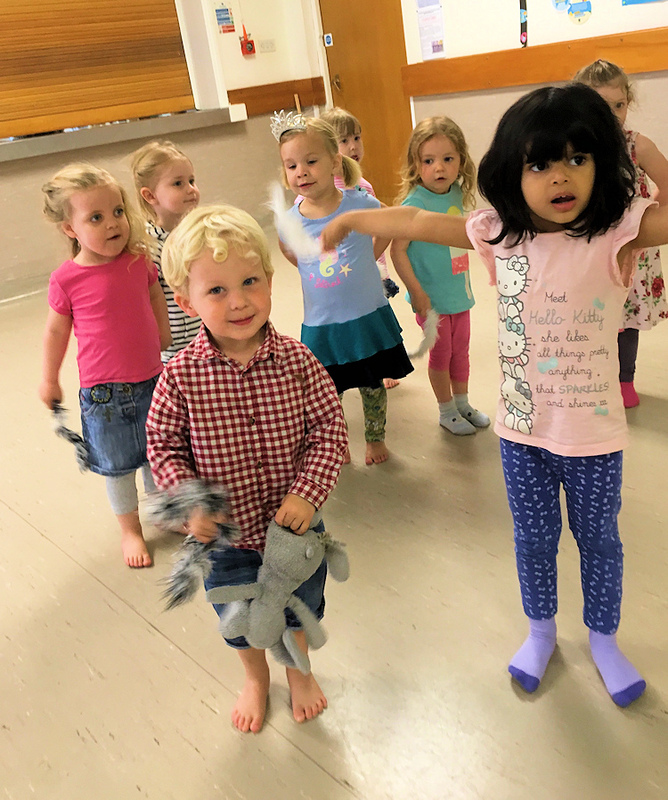 Sunny Steps encourages children to explore and develop fundamental dance and movement skills such as balance, strength, co ordination, musicality along with self confidence, self expression and the freedom to have fun!! Founded by Alison Thompson in 2002, the classes have gone from strength to strength and are now available in four locations in Cambridge. 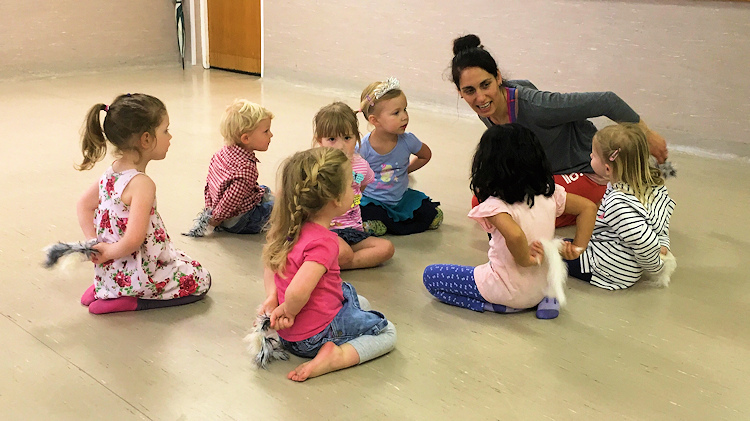 Sunny Steps is a fun class where children can experience dance and movement for the first time, develop self awareness, self confidence, co-ordination and have lots of fun in the process! I went on to further my studies at California Institute of The Arts. I lived and worked in Los Angeles for a couple of years, before returning to London and began working with a number of the UK’s leading Contemporary Dance companies, including Adventures In Motion Pictures, Shobana Jeyasingh Dance Company and Richard Alston Dance Company. I managed to develop my career further by becoming a dance education officer with these companies. I have had a varied career so far, which is still growing and alongside raising my 3 beautiful children, my path has led me to create Sunny Steps. It is a class which I love to teach and feel extremely proud of. My main reward is to see how the children grow in confidence and really explore movement and develop their own style. Dance and movement is an integral part of who I am and I love sharing this with the children and giving them a safe and nurturing platform to develop this for themselves. Are the little ones getting fed up of crawling or toddling around the living room while you shout, “No! Don’t touch the TV!”? We’ve asked some local mums and dads and here are their picks of the nicest baby and toddler groups in Cambridge. After all, it’s always better when we’re together. 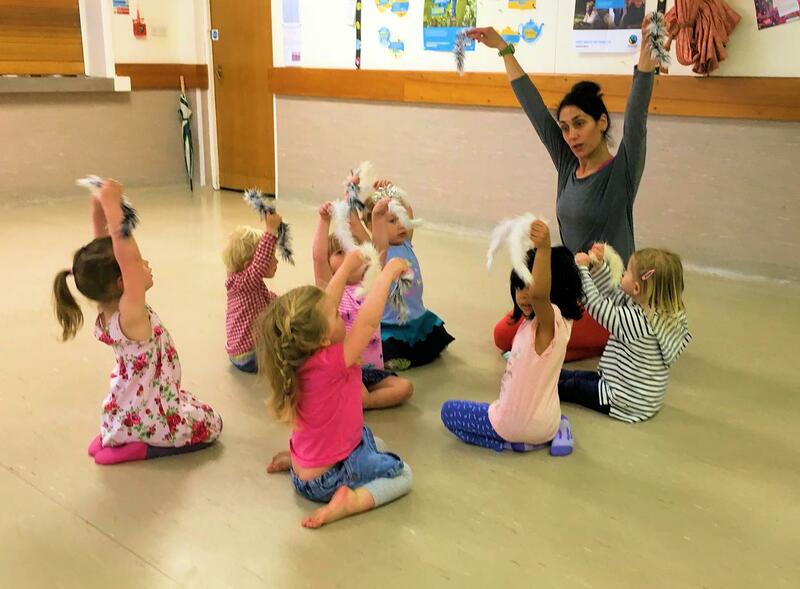 Sunny Steps is at various locations in Cambridge and St Ives and is a dance and movement class for boys and girls aged 2-4. It aims to help nurture creativity, improve coordination and boost confidence, plus it’s great fun and you get some exercise too (carers joining in is strongly encouraged).